Eric Cantona and Ronaldinho are working with Nike to produce a worldwide ‘juggle chain’ in which amateurs send in their short football films, all in the Joga Bonito lead up to the FIFA 2006 World Cup. The ‘Nike Juggle Chain’, a collated video, is steadily growing and being shown on the Joga TV site. It features amateurs such as Alfred in China, Frank in Denmark, Ambit, Jose, Thiago and Alfred in Mexico, and Psaarlay Junbishin in Aghanistan. Entrants in the Juggle Chain are asked to send in a video clip with the ball coming in from the left and exiting to the right at the end of the video. Video size must be no larger than 720 x 576 PAL, and no smaller than 320 x 20. Videos can be in windows media, mpeg, avi, divx, quicktime formats and must be no larger than 10 mb. Currently the Juggle Chain has over 120 clips and lasts for over ten minutes. 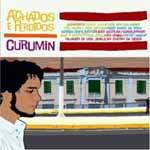 Music for the Juggle Chain is “Guerreiro” by Curumin, from the album ‘Achados e Perdidos’. Buy the album from Amazon.com. Curumin is a Brazilian group based in Sao Paulo. Members are Gustavo Lenza (drums, brazilian ukelele, samplers & voice), Lucas Martins (bass), Abuhl (percussion), Gui E.T. (keyboards and trumpet), and Loco Sosa (drums and percussion). See the Curumin MySpace website. See our earlier post on the Nike Joga Bonito videos. The Joga Bonito campaign was developed at Wieden+Kennedy Amsterdam by by creative directors Alvaro Sotomayor and Mark Hunter, creatives Johan Dahlqvist, Carlo Cavallone, Joe Staples, Rachid Ahouyek and Jon Burden, agency producers Sid Daffarn and Veronika Kaufmann, executive creative directors Al Moseley and John Norman, executive agency producer Tom Dunlap and Elissa Singstock. Filming was shot by director Ulf Johansson via Smith and Jones Films with executive producer Phillipa Smith. Editor was Russell Icke at Whitehouse Post London. Post production was done at Moving Picture Company, London.